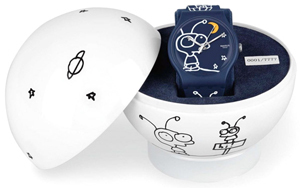 The Swiss company Swatch, with the participation of electronics guru Moby has released a new watch featuring a character from the movie musician. It is believed that painted by Moby melancholic alien by the name Little Idiot (Little Idiot) – this is his alter ego. Very soon the happy owners of 7777 hours of the new limited edition Swatch happy trying on his alter-ego of an idol for themselves. 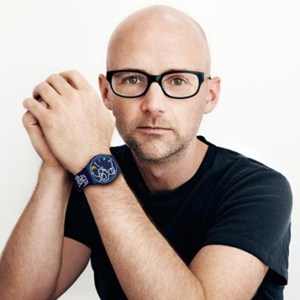 If Moby’s music hits are out of time, it really hit it firmly in its very midst! New plastic watches are available in two color versions: white outline drawing on a blue background or blue on white background. Funny little man shining star and the yellow moon. Special attention should pack watches, made in the form of a spherical spacecraft, and just painted based on the famous Moby clips.